From royal coins to Lands’ End totes, monograms have long been deployed to add a special, personalized touch to another otherwise mundane items. 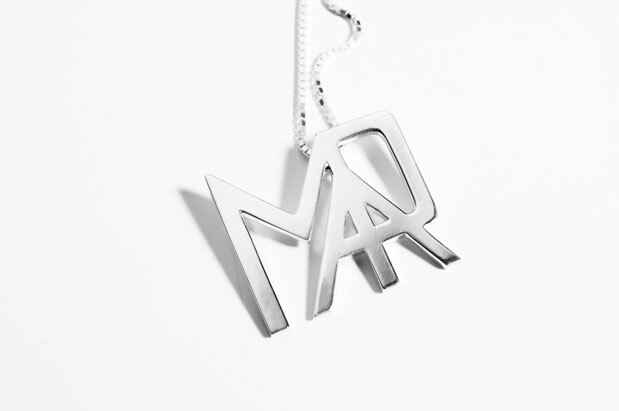 It was that desire to add meaning that inspired Bellevue-based artist Maja Arnold to create distinctive monogram necklaces, cast in sterling silver, white or yellow gold, using a bold, modern font. “The idea for monogram jewelry came to me when I lost one of my twins,” explains the Bellevue-based mom. “I was wearing meaningless jewelry and wanted so desperately to find something to wear in my daughter’s memory as an assurance that she is still with me.” Arnold, who has a degree in typography, blends capital letters—as many as six—in an original design. Each of the pieces, which come in 1- and 2-inch sizes, is sketched by hand, then cast in digitally rendered wax molds. “There is a personal message behind each symbol that is original and one-of-a-kind,” says Arnold, who also offers pre-designed “love,” “live” and “happy” necklaces as layering options. Available at majaarnolddesign.com. Prices range from $375 to $3,000; allow 3 weeks for delivery.